Chilli rating - 3. 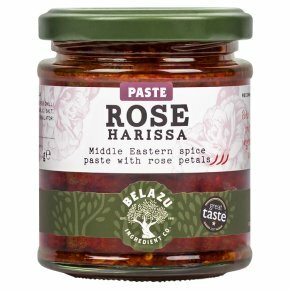 Middle eastern spice paste. With a blend of spices and rose petals. Vegetarian Society approved. Recommendation Adds depth and spice to meat, vegetables, soups and stews.